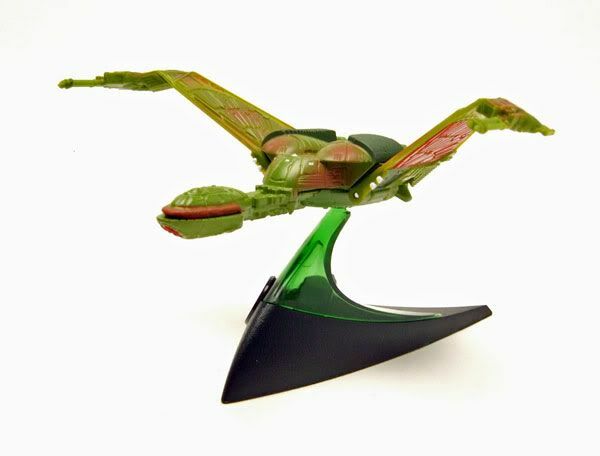 The Bird-Of-Prey was released boxed as part of the Hot wheels Die-Cast Star Trek assortment. 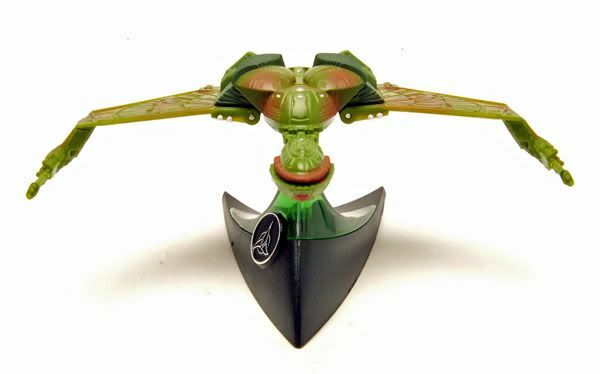 The number one coolest thing about the ship is the elevating wings. It's a feature that I think the ship should always have, but is sadly missing on allot of it's releases. Thankfully, this one has it and it works great. 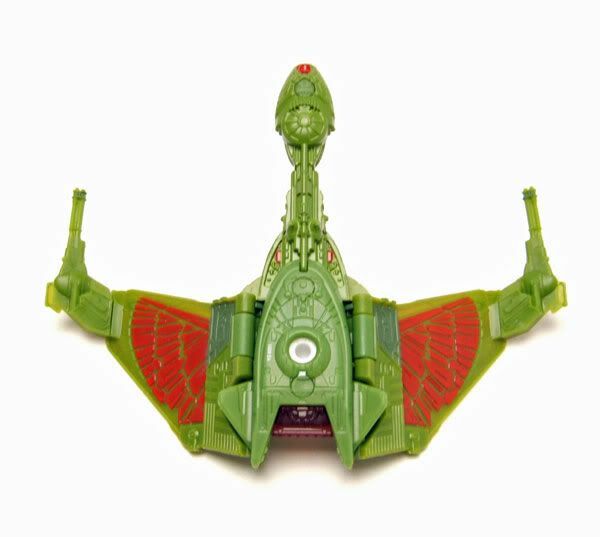 The wings have sort of a ratcheting movement which keep them in place in 3 positions: fully elevated, midway, and fully lowered. The ratcheting system works really well and enables you to keep the wings displayed in whatever stage you choose without them flopping around. The sculpting and paint jobs are beautiful. 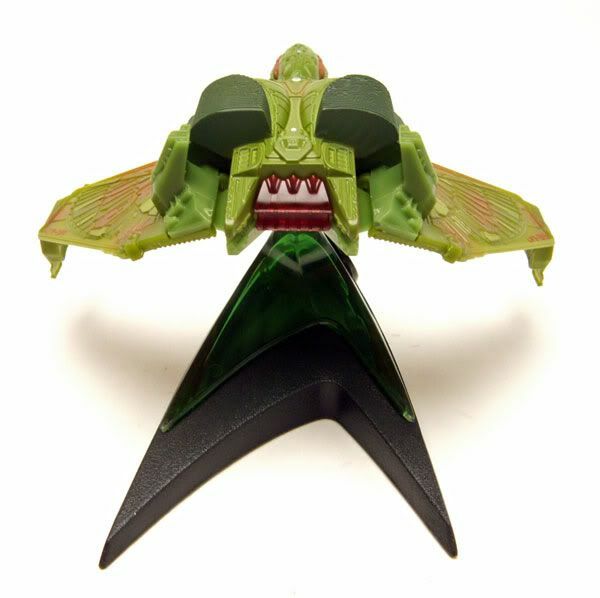 I have the dies-cast Hot Wheels refit Enterprise and Reliant, and really this one puts those 2 to shame. I really didn't expect allot out of this one after getting those, so I was pleasantly surprised to see such nicely detailed work on this one. They even cast part of the back half of the ship in a translucent red plastic to give it a more authentic look! Nice job Mattel! 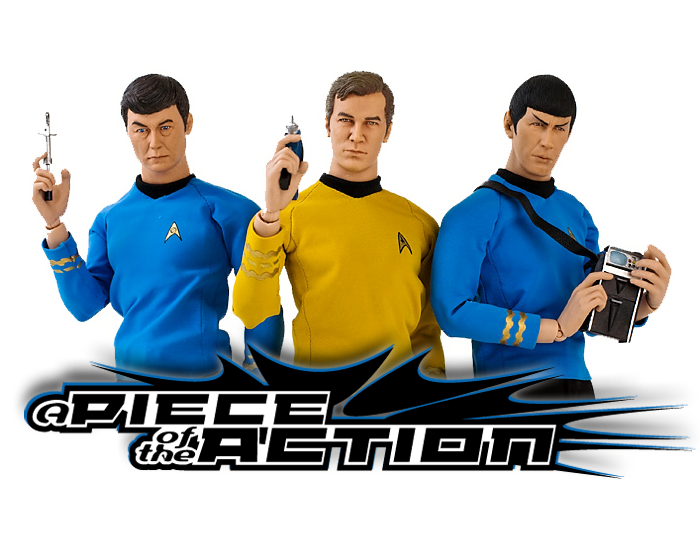 Oh, and I shouldn't forget to mention the base- Mattel didn't skimp on this either. 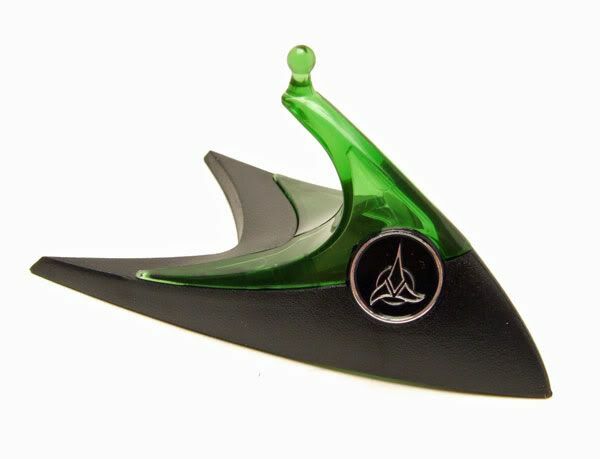 The top half of the base is molded in a translucent green plastic, as opposed to the blue on the Federation ships, and there's a nice little Klingon insignia on there. Okay, so the ship is great, but the hunt for it is not so great. At one per case right now, the ship is a little tough to come by. So tough to come by that I eventually broke down and ordered mine from toysrus.com. Time for me to get on a soapbox- Toysrus.com has some of the worst shipping quality I've ever experienced. I got the ship 5 days after I ordered it (despite it coming from a distribution facility in my state) and when it did arrive I was incredibly disappointed in their packaging job. They just threw the box in a giant bubble envelope! No packing material, no box, just a giant thin bubble envelope! Oh, and it was half open when it arrived too since they didn't even bother to put tape on the envelope. Nice one Toys R Us! The box had a rather large ding on the bubble, but miraculously survived other than that. Still, I think that was shear luck. 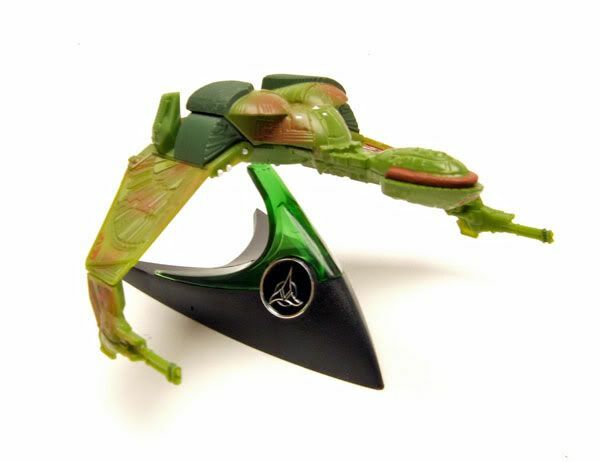 If you need one of these, and you're thinking of going the toysrus.com route, be aware that you are taking a risk in it getting to you unscathed. This ship is AWESOME. 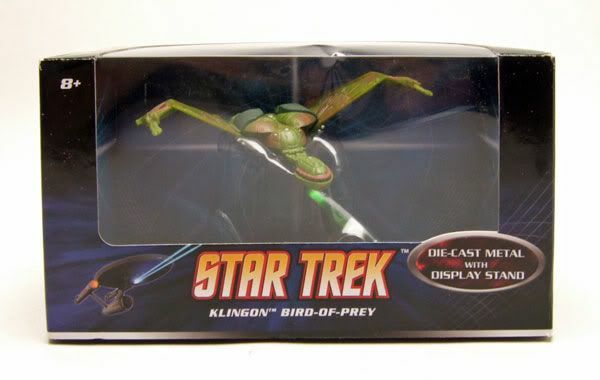 I have the Enterprise D, and both regular and battle damaged Bird of Prey. I keep them on my desk at work.